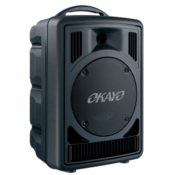 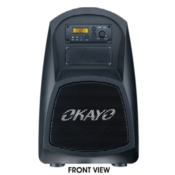 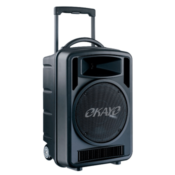 The multipurpose wireless amplifier is lightweight and compact allowing for easy transportation and set up. 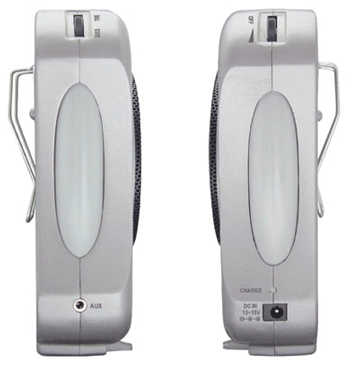 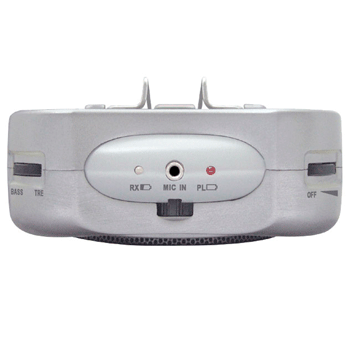 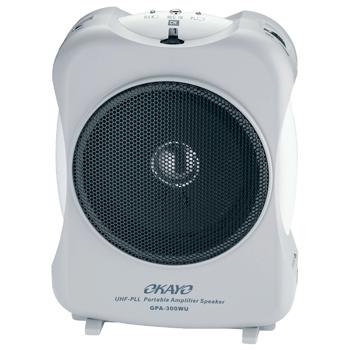 The GPA-300 can connect to a projector or laptop PC for presentations. 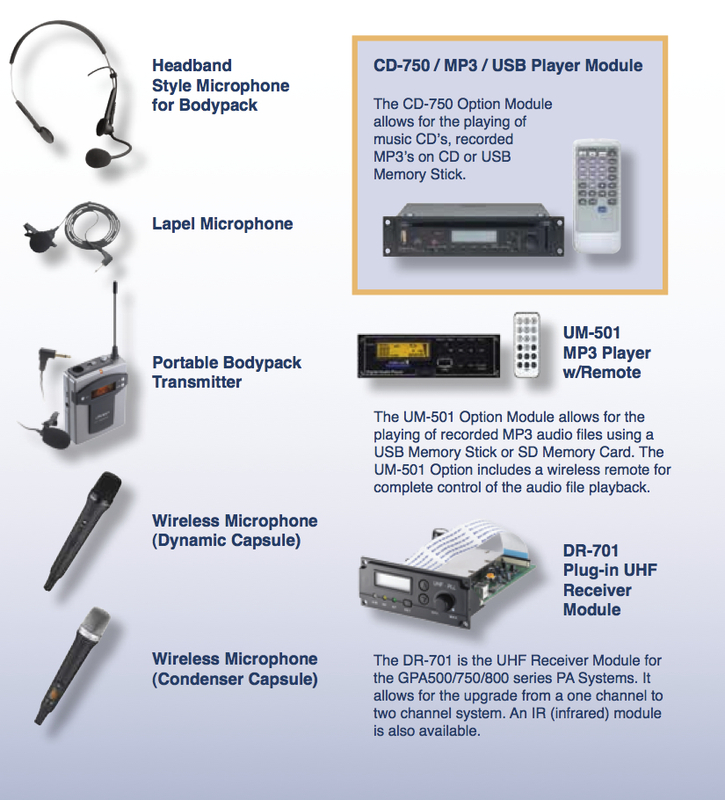 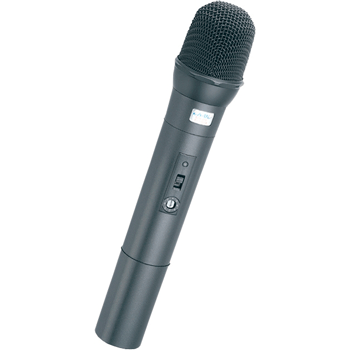 It can also interface to an existing PA system to add wireless microphone capability.